Muddy Shoes Summer Training Schedule is here!! 25kSummerSchedule2018 Muddy Shoes Summer Training Schedule is here!! (Check File section) Listen up! 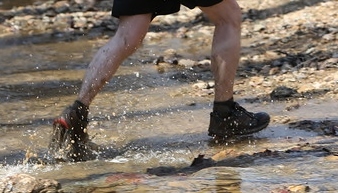 The goal for Muddy Shoes this Summer is simple: Keep trail running options available for the masses throughout the Summer months. That includes folks of all levels of distance, ability, and hygiene. I put together a 25k training plan to use as… Continue reading Muddy Shoes Summer Training Schedule is here!! Yeah, well, here we go again. It’s Tuesday. Time to circumnavigate (ooo, big word!) Lake Needwood. Thats right. Around we go! Will be a tad warmer this evening so hydrate accoedingly and be ready to run. All paces welcome. Bad attitudes prohinited. Details for tonight: Location: 15679 Needwood Lake Cir, Derwood, MD GPS Coordinates: 39.114637,… Continue reading Tuesday Trails at Needwood!! !